Two thirds of British adults are planning cut backs on their Christmas spending this year. The top savvy steps to stay afloat through the Christmas period include: setting a strict limit on present spend per head, cutting down on essentials and not sending Christmas cards. Set against this, almost one in ten people would raid their savings to have the Christmas they wanted. The Christmas spending research of 2,000 people for elephant communications is part of Austerity Britain edition 10, a rolling piece of research by elephant which tracks how people are coping in uncertain times and how their reactions are shaping their outlook and confidence. The new research also explores more broadly how people have been coping with a series of cost of living hikes and compares findings to this time last year. Compared to November 2012, there has been a slight reduction in the proportion of people planning cutbacks to get through Christmas. The research also suggested fewer people spent 2013 dealing with the financial hangover, paying off the previous year’s Christmas. Looking at how people were coping each month, 59% of respondents said they were worse off each month than this time three years ago. Many households were adopting a range of coping measures to stay afloat. 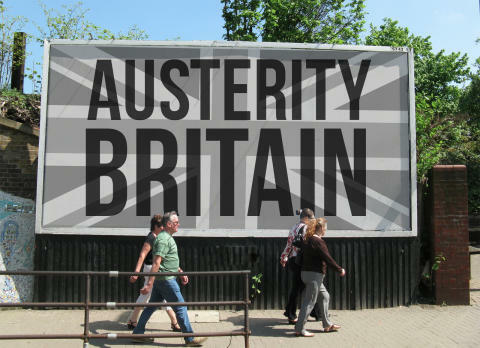 Austerity Britain edition 10 is out in December. Around one in five adults like the idea of buying property to rent out in the future, according to new YouGov research for elephant communications. What do an owl and a dog have in common? They are the two animals that capture the essence of what people would look for in a good bank. This week we hosted our autumn small business advice day at our offices. As part of our community investment programme, we set days aside to offer local businesses free PR advice. 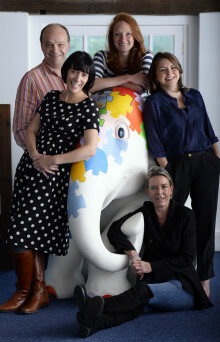 elephant communications is holding a set of insight experience days in January as part of its rolling market research – friends and clients of elephant are invited to come down to our office for a day to immerse themselves in the market research archive elephant has created and assess issues that impact on their specific sector.